Acting Attorney General Matt Whitaker told lawmakers on Friday he has not spoken to President Donald Trump about special counsel Robert Mueller's investigation as he squared off with Democrats over his tenure atop the Justice Department during a contentious congressional hearing. Whitaker testified on Friday following a lengthy fight with House Judiciary Chairman Jerry Nadler over the prospect that he would be subpoenaed for not answering questions. Whitaker and Nadler, a New York Democrat, sparred over whether he could answer questions about his conversations with the White House and the President, but the acting attorney general made an exception to say he did not discuss the Mueller probe. "I do not intend today to talk about my private conversations with the President of the United States, but to answer your question, I have not talked to the President of the United States about the special counsel's investigation," Whitaker told Nadler. TVNL Comment: Whiraker is rude and outrageous. 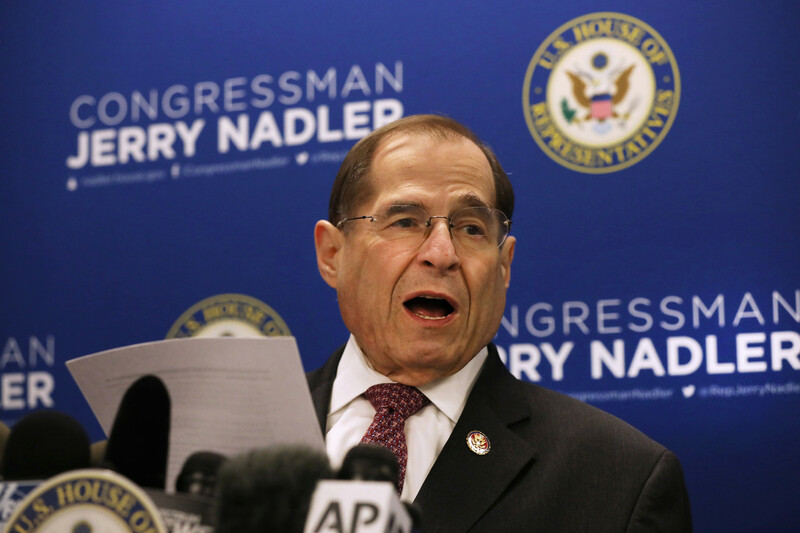 He had the nerve to tell Chairman Nadler that his 'five minutes were up,' and ask for the basis of Nadler's questions, among other things.